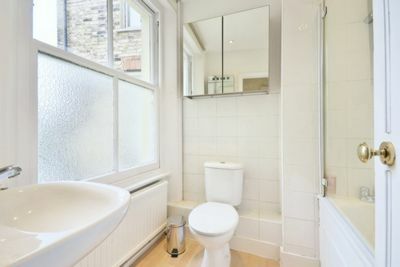 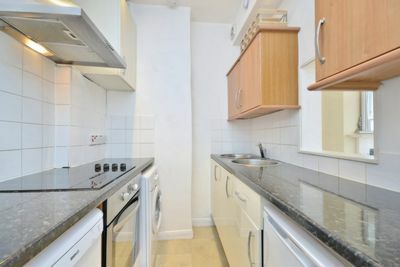 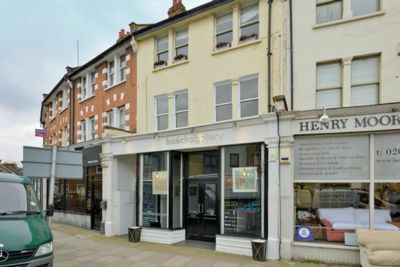 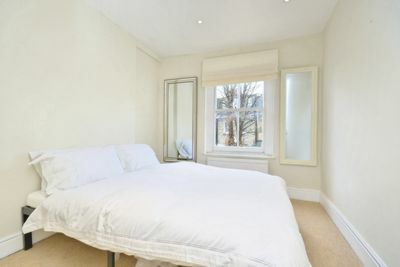 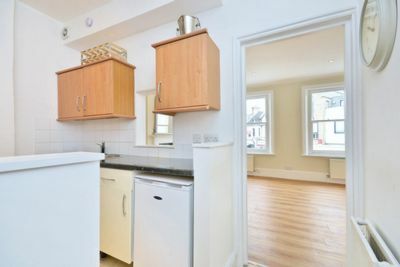 A smart one bedroom, first floor flat, close to the station and bus routes in Barnes. 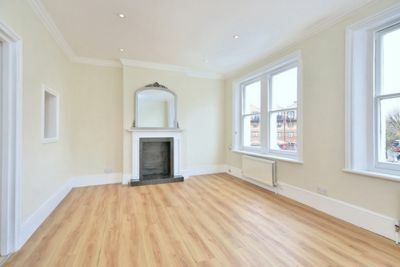 At the front of the property is a large, wooden floored receprion room with large sash windows and plenty of light. 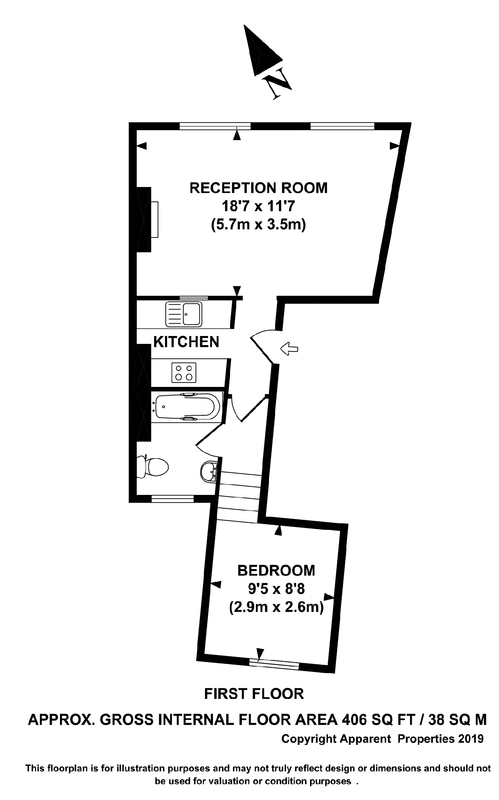 There is a semi open plan galley kitchen whilst to the rear of the apartment is a bedroom and a bathroom with bath and shower over.